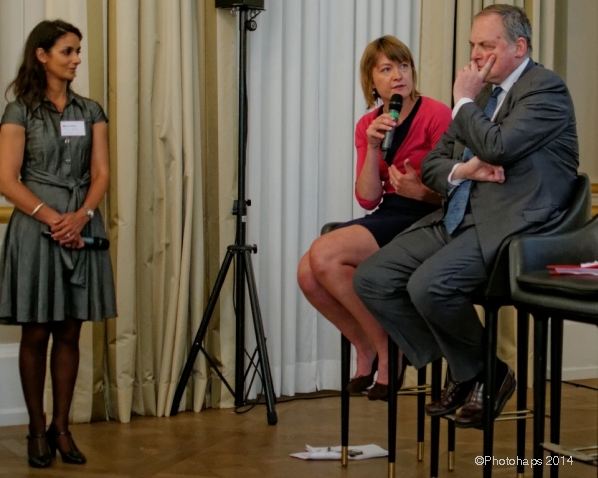 Post EU elections conversation: What should businesses expect? – Taking the pulse of the EU as a consequence of the 25 May elections. Experts with their mental positions from near the physical extremes of the EU joined with the BCCD to give their views on and discuss the potential futures directions which they hoped or reasoned might hap. Rebecca Adler-Nissen, is Associate Professor at the Department of Political Science at the University of Copenhagen and a former Head of Section in the Department of European Policy, at the Danish Ministry of Foreign Affairs. Prof. Niels Christoffer Thygesen has been called the most influential Danish economist ever. He is Professor Emeritus of International Economics at the University of Copenhagen and was a member of the Delors Committee that drafted the European Monetary Union (EMU) policy in 1988. Indeed, he was the only professional academic economist on the committee, and was one of three ‘personalities’ designated to join the 12 central bank heads and commission representatives. Aston Martin, Bloomberg, Børsen, D’Angleterre and TV2 sponsored this event. This entry was posted in BCCD Events on June 24, 2014 by thehapper.